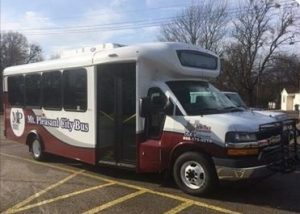 The Lowe’s Distribution Center in Mount Vernon now offers a bus service from Mount Pleasant to Mount Vernon as a very affordable way to get to and from work. This bus route services both day and night shifts, Monday through Thursday each week. There are three convenient pick-up and drop-off locations in Mount Pleasant. If transportation to and from work has been a challenge for you, this is your solution! Lowe’s Distribution Center is currently hiring for the night shift. 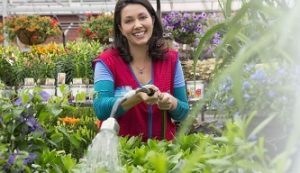 Lowe’s offers an exceptional benefits package including medical, dental, tuition reimbursement, paid maternity leave, paid parental leave, adoption assistance, 401(k) plan, employee stock purchase plan, vacation, and an onsite health center. Join the Lowe’s distribution team! Apply today at lowes.com/careers! Lowe’s is an equal opportunity employer. Our Retail stores are constantly evolving, but the Lowe’s commitment to our customers never changes. We give employees the tools they need to grow and advance. Follow your passion and build your career at one of more than 2,370 Lowe’s stores across North America.